There are certain mysterious phenomena in the world of Game of Thrones— like the reappearance of dragons, White Walkers, and the Children of the Forest—that the people of Westeros can neither quite explain nor agree upon if they’re real. Others, though, like the Doom of Valyria, are widely accepted as historical fact. 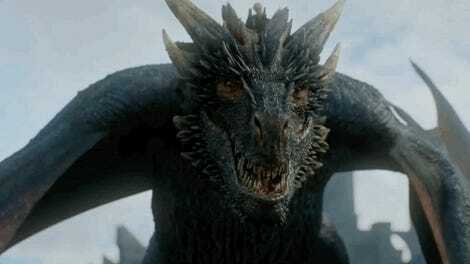 Every man, woman, and child within Game of Thrones’ larger world knows about the cataclysmic event that obliterated the Valyrian peninsula and its capital city, instantly destroying most of the world’s dragons along with a vast wealth of ancient knowledge—much of which concerned now-forgotten magic. People know that there were explosions from within the earth so powerful that the Valyrian peninsula was ripped to shreds, turning the single landmass into a collection of shattered islands that still smolder some 400 years later. But because modern science—geology in particular—isn’t something that the maesters have quite sunk their teeth into yet, the specific cause of the Doom isn’t exactly understood in the world of Game of Thrones. Some logically assume that the Doom had something to do with the nearby Fourteen Flames, a chain of volcanoes known for their occasional rumblings, while others reason that the Doom was caused by Valyrian magic backfiring. Interpreted geological features surrounding ValyriaL Miles Traer. 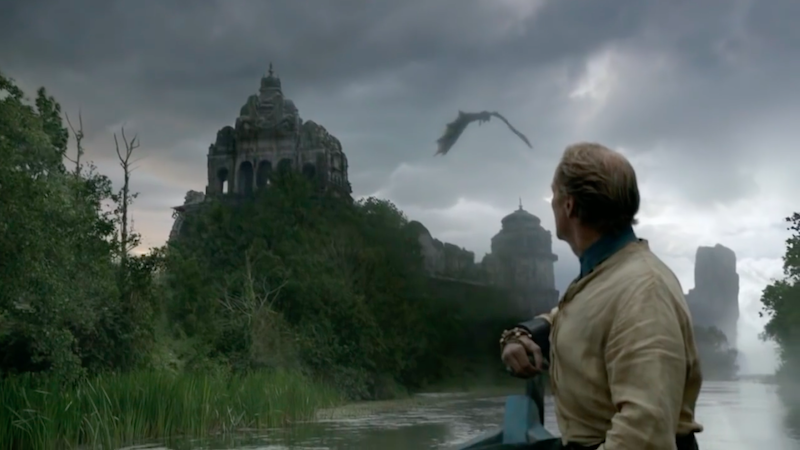 In a July 27 blog post titled “What Caused the Doom of Valyria,” geological data scientist Miles Traer dug into the contextual clues about the Doom scattered throughout A Song of Ice and Fire and Game of Thrones and compared them to real-world volcanic and tectonic events. The end result is a compelling—and fascinating—theory. The Doom, Traer explains, most definitely began with a volcanic eruption, but not the simultaneous explosion of all Fourteen Flames. Rather, the first major event of the Doom likely began relatively far away from the city of Valyria itself and nearer to the Narrow Sea. We also know that “a wall of water three hundred feet high had descended upon [the Isle of Cedars]” in the sea to the northeast of Valyria while the city of Volantis, to the northwest, was spared the same fate. These details suggest that the Doom began with a volcanic eruption near Slaver’s Bay similar to the 1883 Krakatoa eruption on Earth. Assuming that the Doom began with a Krakatoa-like eruption, Traer argues that not long after, people living as far away as Volantis would have heard explosions, with the sound growing more intense the closer they to came to Valyria. The sudden shaking of the earth caused by the first eruption likely destabilized the topsoil covering the nearest of the other 13 Flames, causing massive landslides that released those volcanoes’ internal pressure, triggering more eruptions, starting the process over and kicking off chain reactions down the line. Traer is also careful to point out that, along with all of the erupting volcanoes, tsunamis are often caused by tectonic events of this magnitude. Though it would take time to make its way back to shore, the tsunami caused by theFourteen Flames activating one right after the other would be more than sufficient to massively flood the Valyrian peninsula. It’s in the breaking apart of the peninsula, something that many people throughout Westeros attribute to the Doom, that Traer’s theories become something more than just fascinating. Even if the Fourteen Flames all went off simultaneously due to tectonic activity, that event in and of itself would not be enough to rip apart the entire peninsula. You’d need something on the order of thousands of volcanos. Realistically, there’s only one thing in existence capable of wreaking that kind of havoc on the face of a planet: a meteor. The sheer size of the smoking sea and the vast deposits of dragonglass and gold known to have existed in Valyria all suggest a meteoric event that took place before the Doom—had the meteor hit during the Doom, there’d be no ruins. It’s possible that knowledge of the peninsula’s splintering was common before the Doom, and that the two catastrophic events were simply conflated with one another over the centuries following the Doom itself. Traer’s theories are a doozy to read through; we’ve featured his work previously when he went into a similarly impressive geologic history of Westeros. And you don’t have to be a geology buff to dig into either of these looks at Game of Thrones’ fiery, tectonic history.